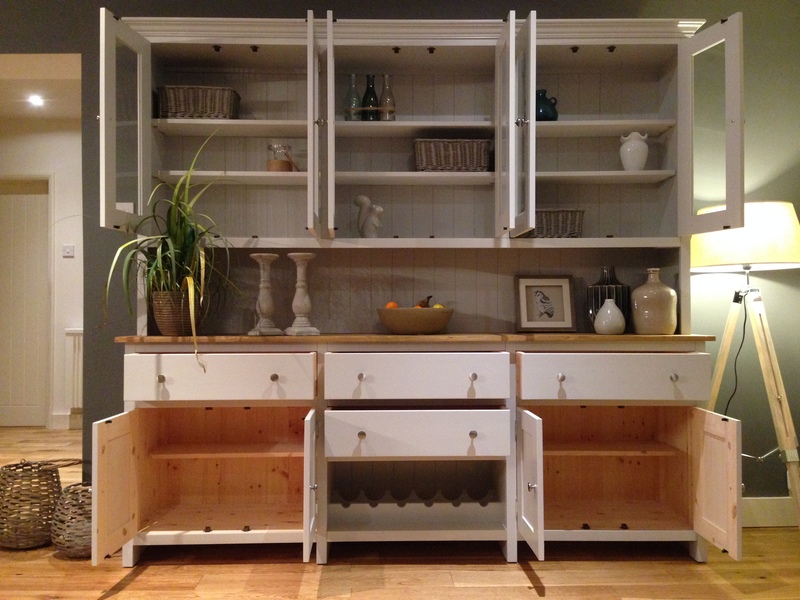 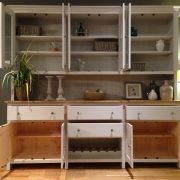 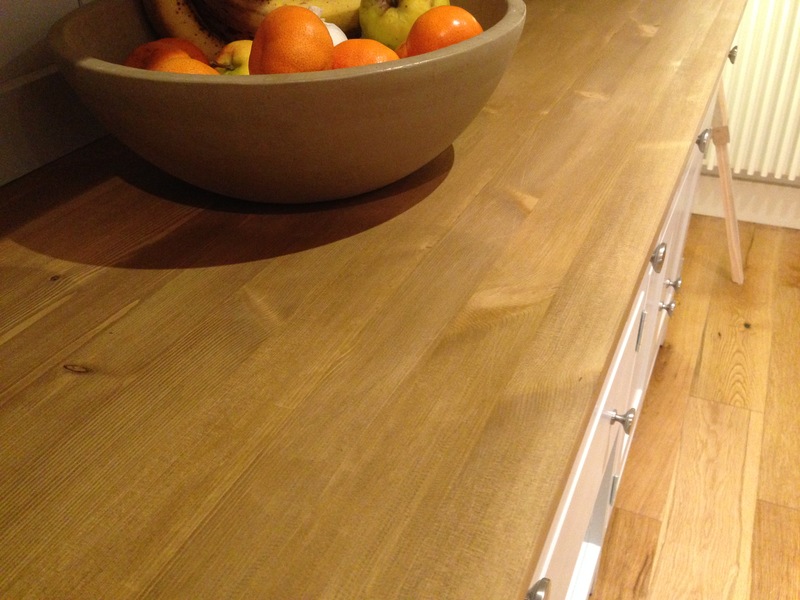 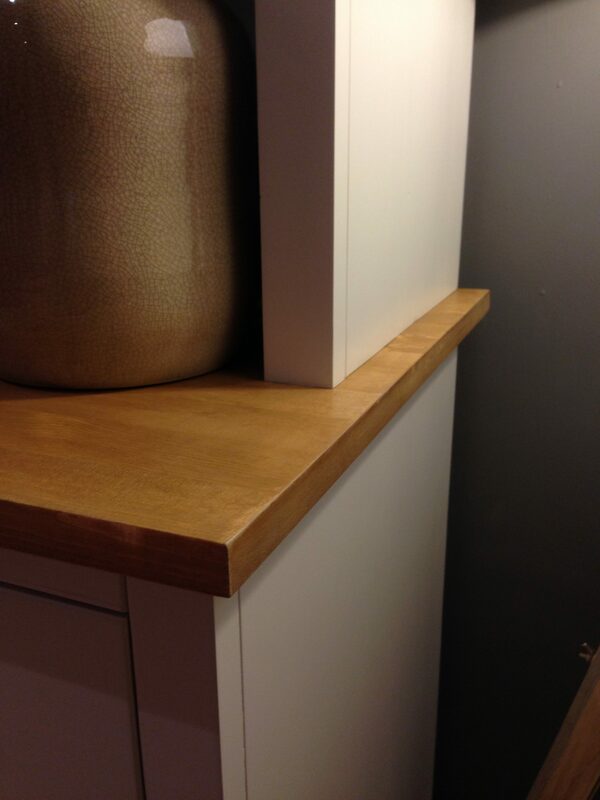 WITH A SLIGHTLY MORE CONTEMPORARY DESIGN, THIS DRESSER SITS ON 4 SQUARE FEET. 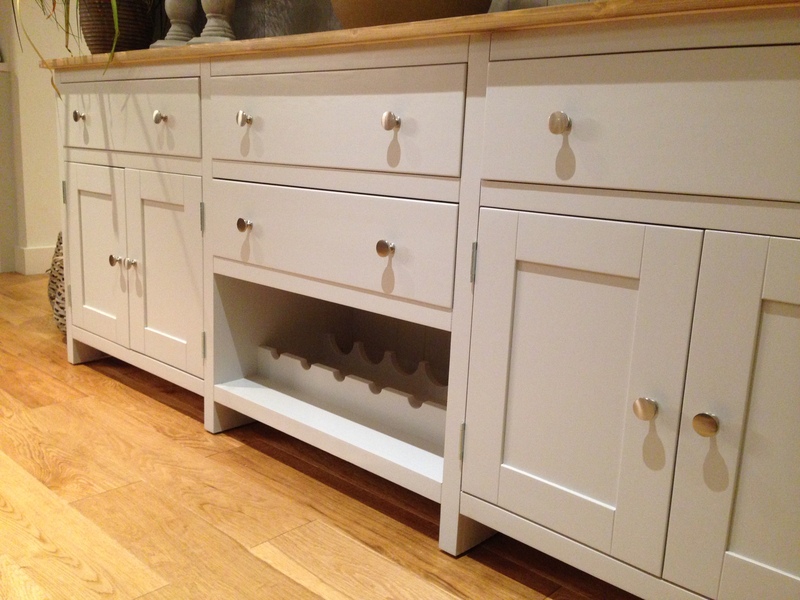 AS ALWAYS WE HAVE INCORPORATED LOTS OF STORAGE SPACE INTO THIS UNIT AND ALSO A WINE RACK. 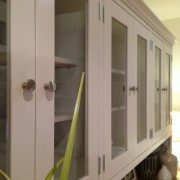 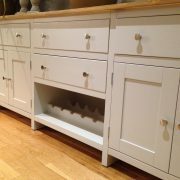 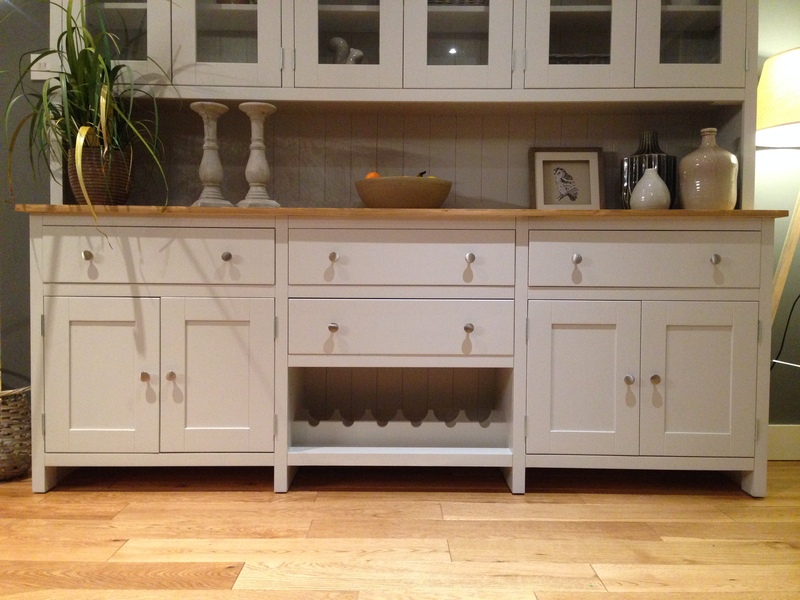 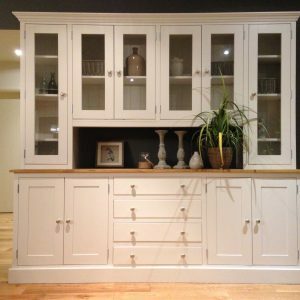 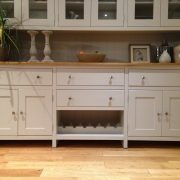 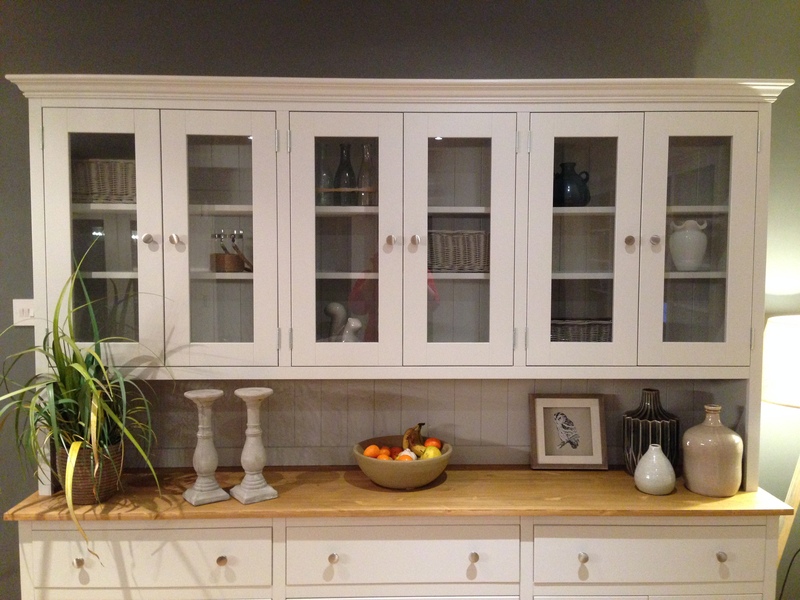 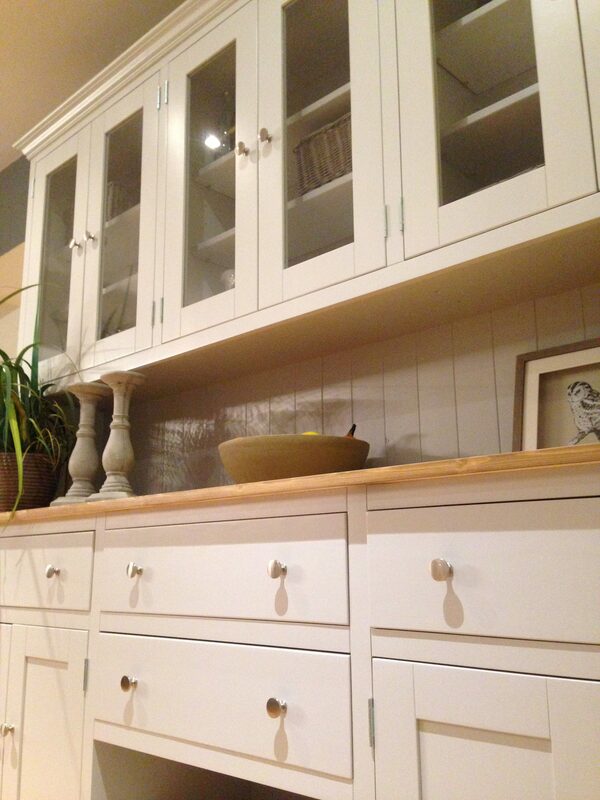 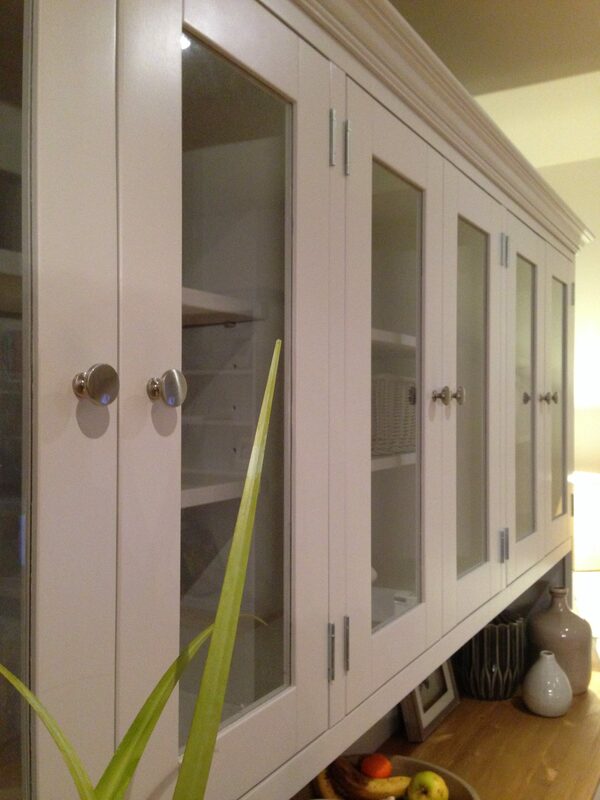 ALTHOUGH IF YOU WOULD RATHER, YOU CAN REPLACE THE WINE RACK WITH A DRAWER OR CUPBOARD FOR NO EXTRA COST. 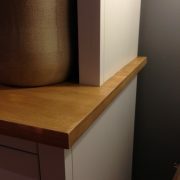 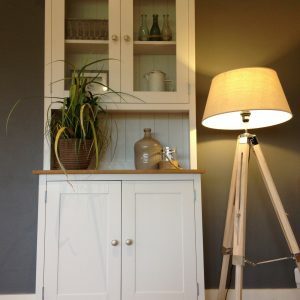 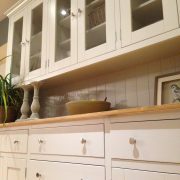 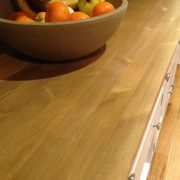 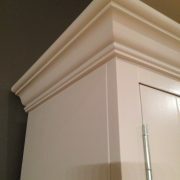 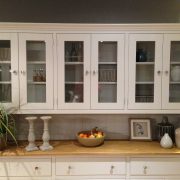 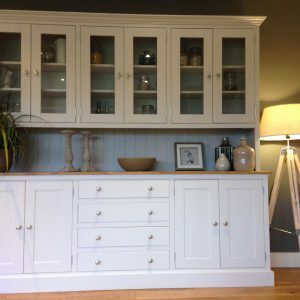 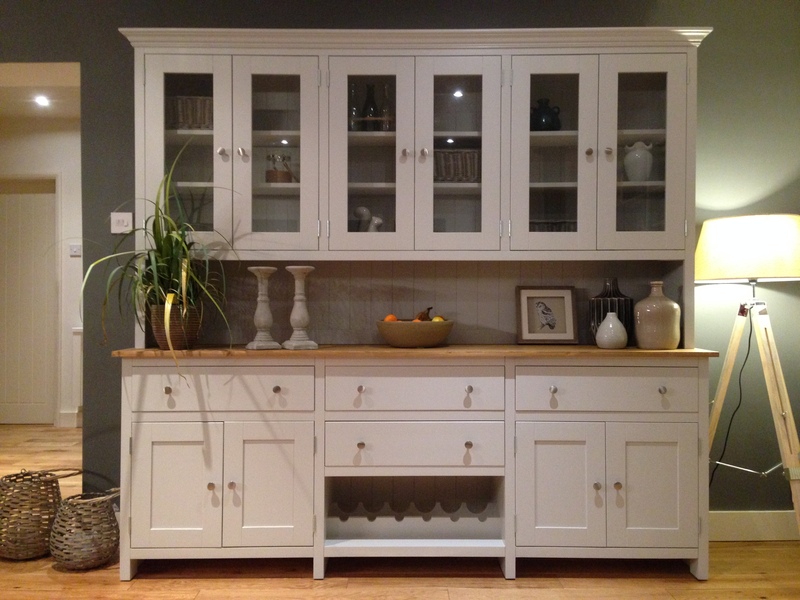 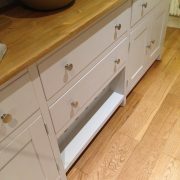 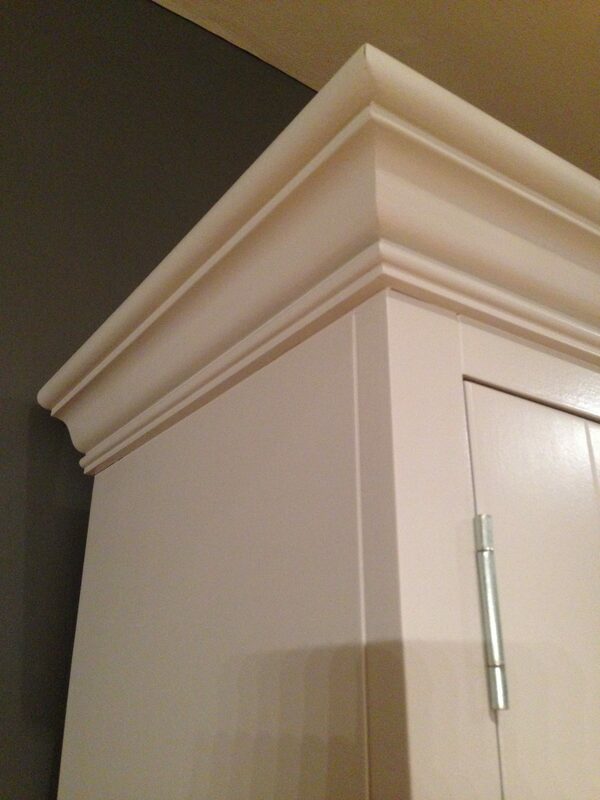 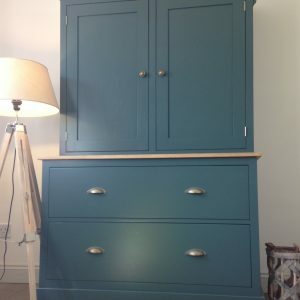 THIS DRESSER CAN BE PAINTED IN ANY FARROW AND BALL COLOUR OF YOUR CHOICE AND IS ALSO INCLUDED IN THE PRICE. 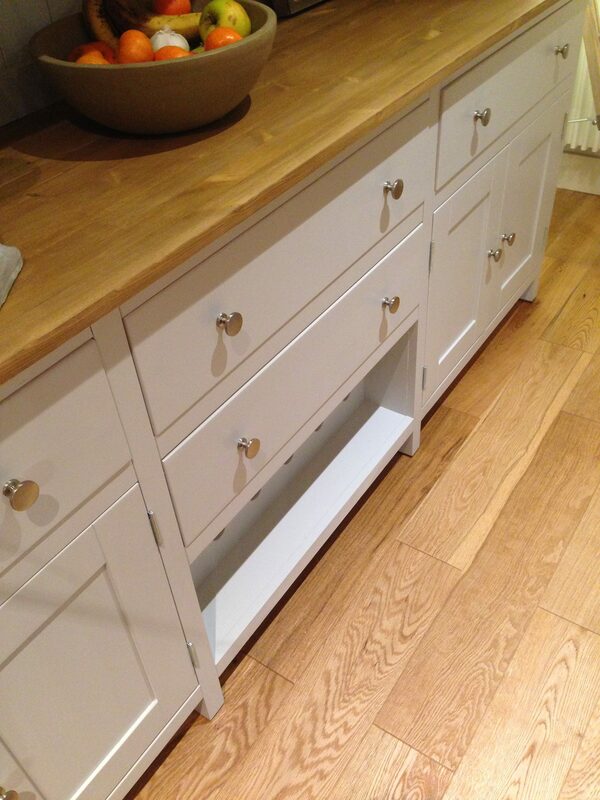 (ALSO AVAILABLE IN 6FT, 5FT AND 4FT VERSIONS).